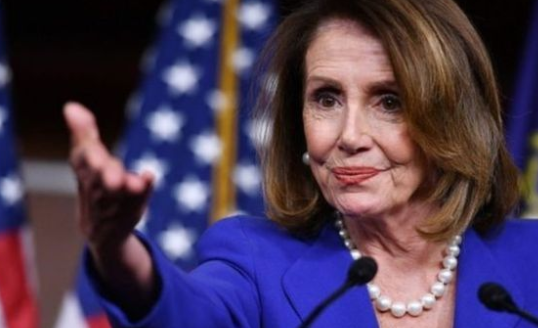 House Speaker Nancy Pelosi says the Democratic Party does not have a “taint” of anti-Semitism, adding that President Donald Trump is wrong to make such accusations. “We have no taint of that in the Democratic Party, and just because they want to accuse somebody of that doesn’t mean … that we take that bait,” Pelosi said Tuesday an interview with CNN in Dublin, Ireland. Pelosi’s comments come as Minnesota Democratic Rep. Ilhan Omar is under fire for reportedly making multiple anti-Semitic comments. Omar also recently described the 9/11 terror attacks as “Some People Did Something.” Pelosi said she still hasn’t spoken to Omar about the comment. Trump said Monday while in Minnesota — Omar’s home state — that he had no regrets of posting the video of Omar’s remarks to CAIR last month where she mistakenly said CAIR was started after 9/11 because they recognized that some people did something and that all of us were starting to lose access to civil liberties.” CAIR was actually founded in 1994. “Look, she’s been very disrespectful to this country. She’s been very disrespectful, frankly, to Israel. She is somebody that doesn’t really understand, I think, life. Real life, what it’s all about,” he told KSTP news.